WASHINGTON—Expressing confusion as to why everyone was getting so worked up, special counsel Robert Mueller was reportedly wondering Thursday why there was all this drama over Donald Trump’s unpaid parking violations. “I mean, sure, he got some parking tickets, and he really should pay the fines, but it feels like people are freaking out for no reason,” said Mueller, acknowledging that while his investigation into the president had turned up multiple parking violations, including several times when the president had overstayed a parking meter and even a decades-old instance when he left his car in a handicapped zone, it was nothing to foment national mass protests against. “Obviously, it’s not ideal for a sitting president to have outstanding parking fines, but a lot of these are just BS street cleaning things, and honestly, he’s probably not even guilty of some of them. I don’t understand why he’s so resistant to talking to me about, what, maybe a few hundred bucks at most? Now his kids are being brought into it, and I even had to talk to his campaign manager just to make sure it was his vehicle. 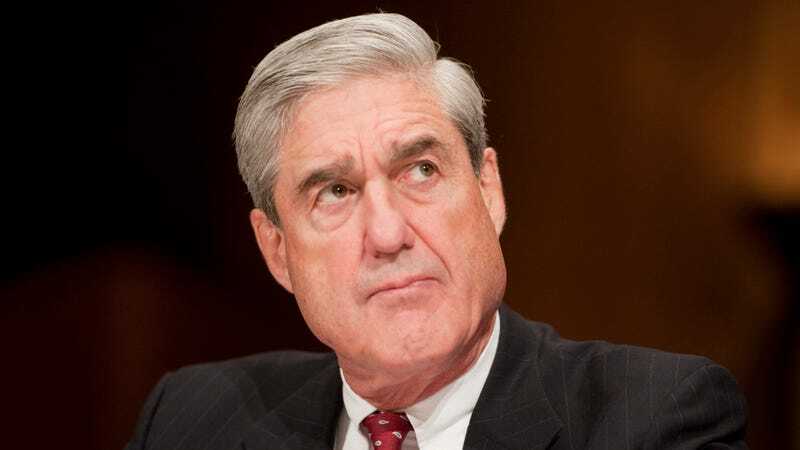 This whole thing is making a mountain out of a molehill.” Mueller added that he would be happy to cut the amount President Trump owes in half just to get the whole thing over with.